OK Paul, what's up with this... a 'Bushcraft' Axe stone??. Well yes..these axes stones are made in the USA and we have stocked a coarse stone (ideal for firewood and felling work) giving a course side to work out those chips and a finer side to finish with. However it occurred to me that a lot of the axes we sell are used for Bushcraft activitys and a finer axe stone would be a better bet for these, as the blades are kept much more like knife edges for this type of work. 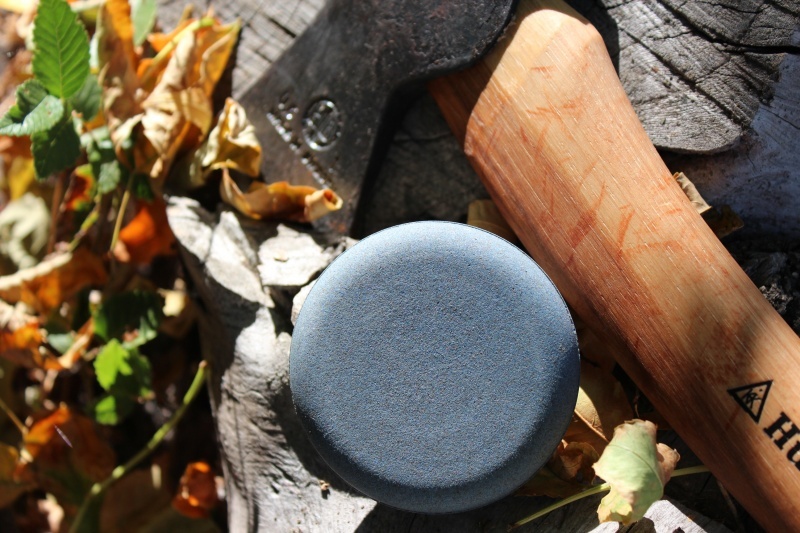 Finer cuts, wood removal for carving, tool handles,making traps and shelters, the bushcraft type axes excell at this and now the finer Bushcraft type axe stone excels at keeping them sharp!. By the way, the grits aren't so fine that they can't deal with minor blade chips, these are still AXE stones. The stones are 3in diameter and 1/2 in thick, grits are 180 and 420. Made in North America. Stones work best with lubricant. 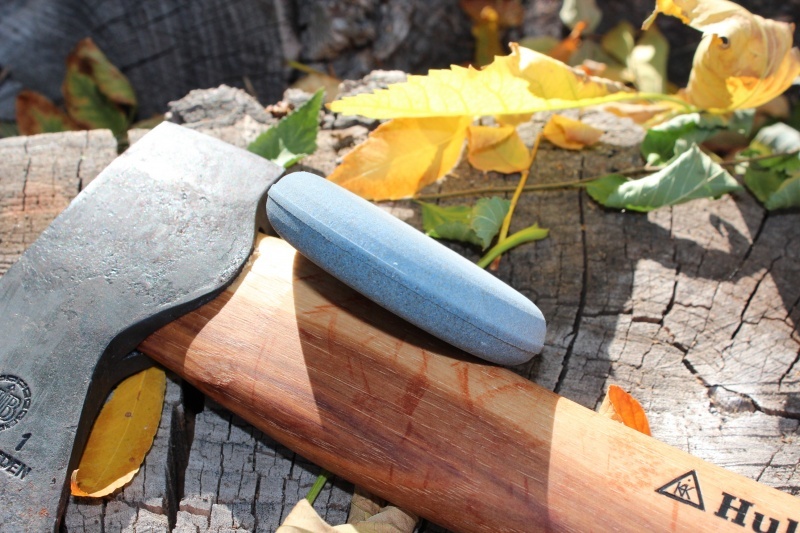 Purchase through PayPal by using the "Add To Cart" button above or use the form below to order the Bushcraft Axe Stone . 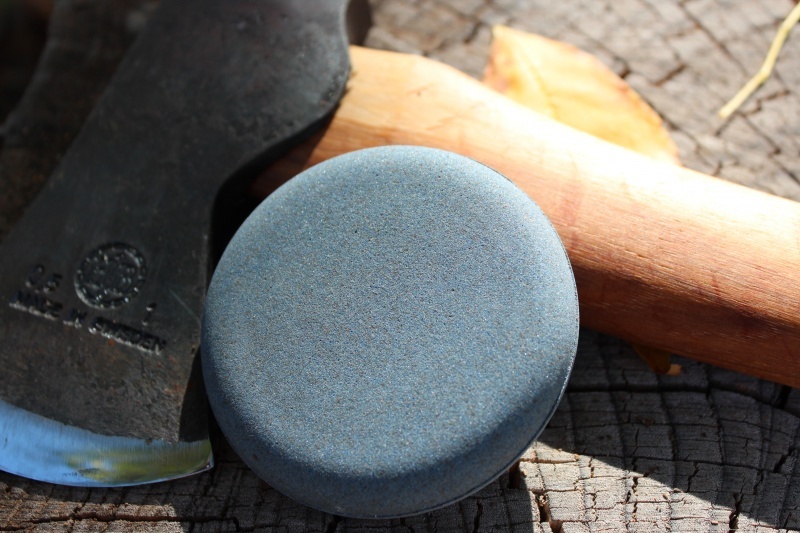 Feel free to contact us if you have any questions about the Bushcraft Axe Stone .